shoots brah! : Light the Park! Manana Jam! Light the Park! Manana Jam! go check it out! this sat. 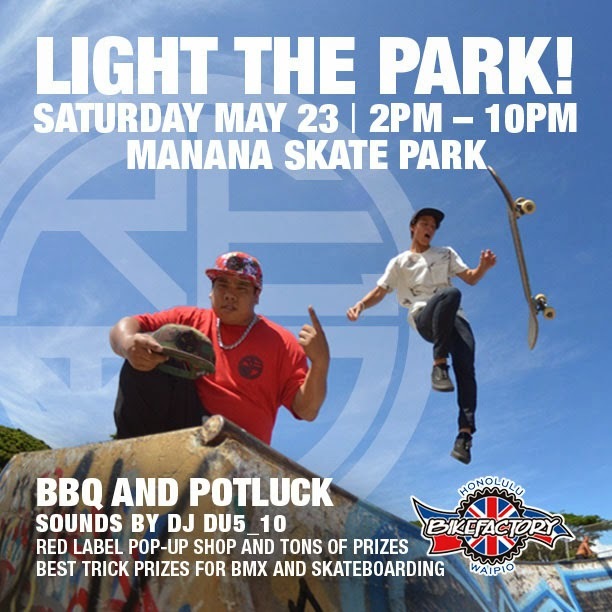 5.23.15 2PM-10PM @ manana sk8park! bruddah alan & his crew throwin it down! bring some food fo da bbq & drinks! nutha bike stolen! fucken thiefs!